It is well known that the cost of higher education is increasing much faster than inflation and even faster than the cost of healthcare. In turn, student debt is also rising rapidly and creating a financial burden for lots of young people. 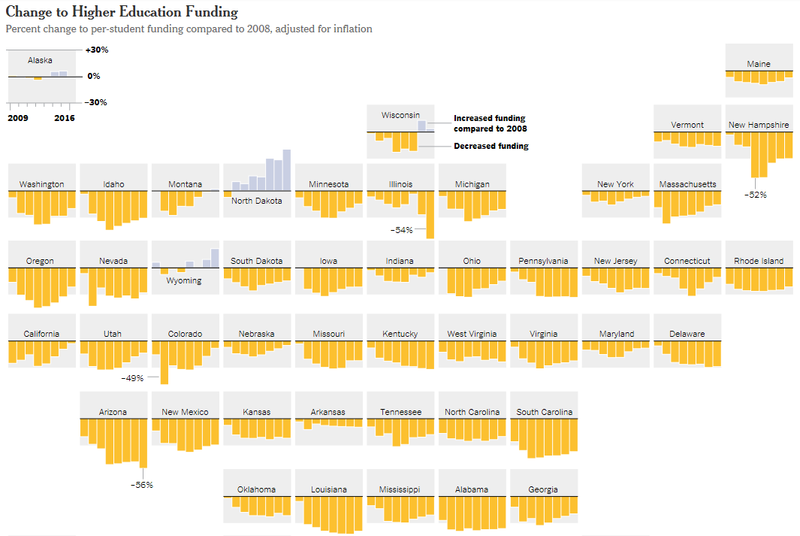 The New York Times writer, David Leonhardt, has an article in Sunday’s paper showing that most states have reduced their funding of higher education since 2009, some quite dramatically. This is not surprising since higher ed has to compete with K-12 education, Medicaid, prison operations, public employee pensions, etc. and states have to balance their budgets. But it means that the cost of tuition will continue to rise even faster than usual. However, except for a few specific fields such as computer programming, high school STEM teaching and nursing, there is no overall shortage of college graduates to keep our economy going. In fact there is a surplus of college graduates in many non-technical areas. But there is a growing labor shortage more generally, first of all for construction and agriculture workers which can be filled by unskilled immigrants. Furthermore, there are now millions of job openings for middle skill workers which are going unfilled for lack of qualified applicants. Training for such jobs as emergency medical technician, robot-heavy factory worker, and wind turbine technician is where states and localities should invest more public resources. The huge demand for middle- and high-skill blue collar workers provides an opportunity to put laid-off middle-aged (Trump voting!) factory workers back to work in high paying middle class jobs. A little ingenuity at the local and state level should be able to figure out how to do this. Conclusion. A college education is not the only path to a productive and satisfying middle class life. 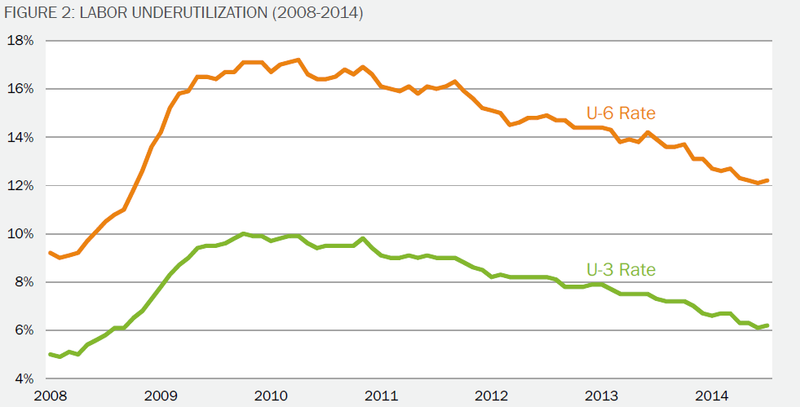 In fact U.S. economic growth is being held back by a lack of qualified middle- and high-skill workers. This entry was posted in college costs, David Leonhardt, Donald Trump, economic growth, high skill, Jack Heidel, job formation, job openings, labor, labor shortage, middle skill and tagged college graduates, cost of higher education, Donald Trump, economic growth, education policy, high skill, jack heidel, middle skill, New York Times by jackheidel. Bookmark the permalink.